It essentially measures the maximal stress that may be applied to a material or an object before it inevitably ruptures. The purpose of a shear testing is executed in an effort to determine the shear strength of an object or a material. Shear is generally measured as PSI, and is regularly utilized with adhesives. It can also be utilized in a comprehensive or a tensile method. There are generally three primary materials that are regularly tested in shear-tests including rigid substrates, layered composites and adhesives. Rigid substrates can be made up of metals, ceramics, plastics, woods or composites. However, they are usually comprised in the form of a solid, and are also utilized for fasteners or building materials. Adhesives are generally utilized to bond or join two materials together. They typically experience shear-stress if the materials are pulled in opposite directions, similar to if someone was attempting to slide the two pieces apart. Layered composites are similar to adhesives, as they also incur shear-stress in a parallel manner since the forces are applied to the substance used to join the two layers together. The results obtained from these shear-tests are vital for numerous industries. This is especially significant for designers who want to test the ability of a material or an object to withstand shear-loads, or applications where the risk of crushing is at risk. Additionally, the ambient temperature of certain materials is a key variable during these tests. Consequently, it is important to stimulate the test in an environment that is similar to the material’s end use environment. For various types of fasteners such as bolts or screws, this test is a vital design characteristic for determining their strength as well as their ability to withstand pressure. There are several types of testing for the shear strength of a particular object or material. Is it vital for designers and manufacturers to perform this test accordingly. For an example, if a product was released to the public without proper testing, and that product or material was unable to withstand a certain amount of pressure, this can essentially create an abundance of complications for the designers and manufacturers. 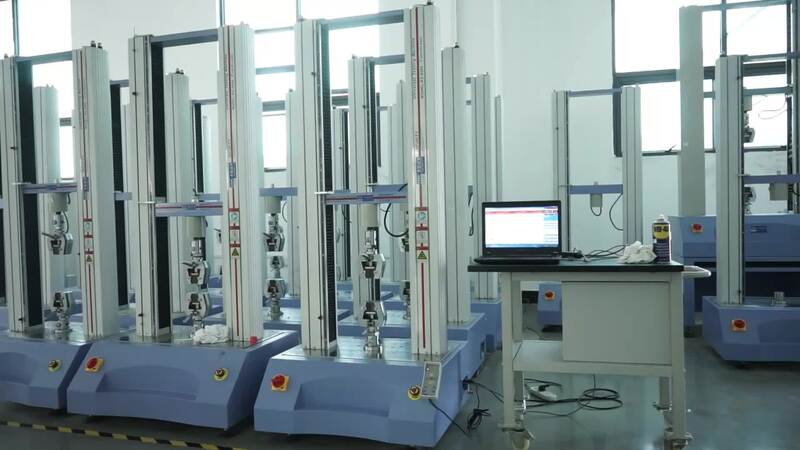 During the shear strength test, the laboratory or the agency conducting the exam will initially measure the amount of shear area in square inches or square centimeters. Then, they load each end of the subject in the tensile grips. Lastly, they apply a force at a controlled rate to the subject until it breaks, and then record the maximum force and type of failure. The ASTM D1002 specifies a load control rate of 1,200 to 1,400 psi per minute. A cross head control rate of 0.05 inch/minute approximates the loading rate and also is an adequate mode of control. The test results will be able to indicate the maximum amount of force the subject can withstand. To obtain the maximum shear stress, the testers simply divide the maximum force by the shear area and report that digit in units of kilogram per square centimeter or psi. The test results will also indicate the type of failure.